The success of this product is due to our grapes which are softly pressed and to the continuous temperature control during the fermentation process. Its straw yellow color with greenish reflections emphasizes the quality of the grapes as well as the delicate techniques used during all the working phases. On the nose it expresses immediately the vineyard and the land with fruity and grassy notes. 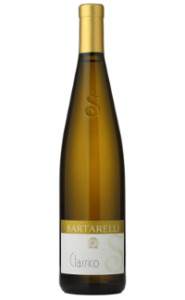 This is the typical expression of Verdicchio wine, easy to drink, with character in the alcohol content and youth in the acidity’s freshness. Our yearly production of this wine is of about 200.000 bottles. 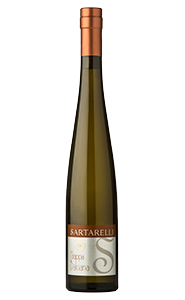 Sartarelli Classico is available in (copyrighted) Sartarelli bottles of 750 ml. 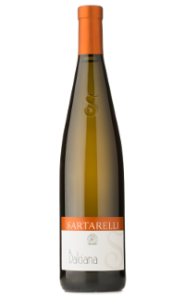 Some tips on how to combine Sartarelli Classico with food, but please never forget to follow your own tastes and preferences! 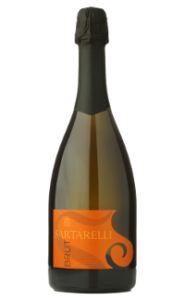 It is very versatile and excellent with seafood, hors d’oeuvres, moscioli di Portonovo spaghetti (spaghetti with typical mussels from Portonovo), risotto, mixed fried fish and vegetables. 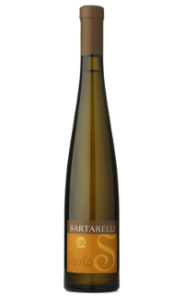 This wine expresses itself best when had with salami typical of our area, such as ciauscolo together with pizza al formaggio, especially good to eat in the open air, and with white meats and cheese fondue. 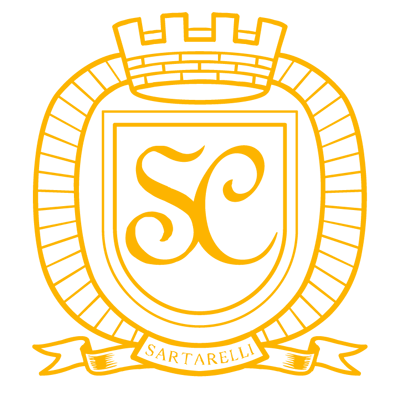 It is of a straw yellow color with intense greenish nuances. 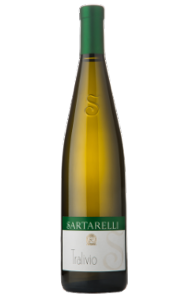 It is considered a simple but not common wine, with white peach, elder, hawthorn aromas. A well-structured wine, fresh and sapid at the same time, soft on the palate, has a good alcoholic structure and the characteristic slightly bitter almond aftertaste (typical of this varietal).